In less than two weeks, world-renowned Omnia Nightclub in Las Vegas is going to be booming with energy and a crowd like none other when two GRAMMY Award-Winning artists come together under one roof. Dance music gem Zedd is set to take the stage alongside legendary Hip-Hop artist Drake on Saturday, October 6th. That’s right, one monumental night where genres purely collide into an absolute music haven, and fans are already gearing up to experience two of the most unforgettable performances Omnia has hosted to date. Backed by global powerhouse Hakkasan Group, it is certain that this one’s not going to disappoint. 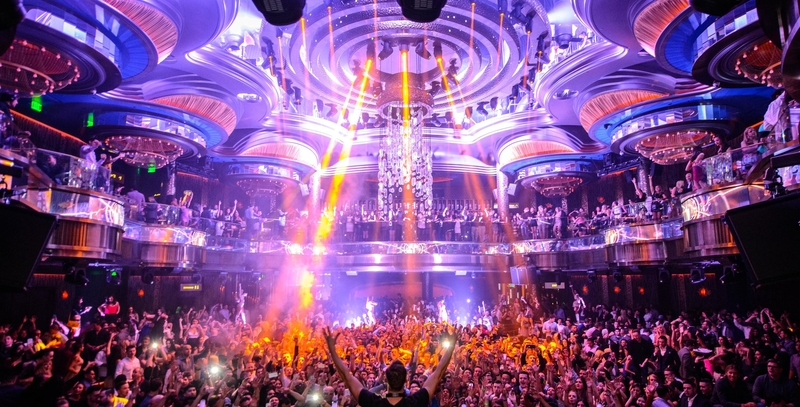 Closing out the last weekend of September will be none other than dance music icons Kaskade and Zedd, and Vegas can already feel the ground shaking with thrilled fans arriving. Following this momentous weekend, October is upping the ante 10x with a massive array of artists. The music mania continues right off the bat with Matoma and Steve Aoki during the first week, and a performance by the King of Trance himself, Armin van Buuren the following week. Dishing out an even heavier roster, October rolls along with NGHTMRE, Cash Cash, and Generik, and hold tight, because Halloween weekend is about to be a thrilling bender at Omnia. Industry leaders Martin Garrix, Steve Aoki, and Zedd will be taking over Halloween in Vegas, making way for another slice of electronic music heaven this year. Talk about an artist that has seen a pristine career straight from start to finish – Zedd has established himself as a force to be reckoned with. Not solely in the electronic scene, but also in varying genres as he’s dabbled with collaborations alongside the likes of artists like Alessia Cara, Liam Payne, Selena Gomez, Ke$ha, Hayley Williams, Ariana Grande and many more. Armed with a ‘Best Dance Recording’ GRAMMY award for his iconic track “Clarity” featuring Foxes and an artillery of performances at all of the world’s top clubs and festivals, Zedd surely hasn’t shown signs of backing down anytime soon. It is a well-known fact that Drake stands as one of the most explosive artists of our time. The platinum-selling recording sensation sells out venue after venue, night after night, in city after city. Booking back-to-back nights across the industry’s most respected venues doesn’t even scratch the surface of the instrumental success he’s achieved to date. Last month his incredible NYC victory lap at Madison Square Garden and Barclays beautifully demonstrated the level to which he currently stands. A seven-day blowout showcased not only his expanse array of critically-acclaimed hits but his decade long journey to the very top. In the heat of his ‘Aubrey & The Three Migos’ Tour, Drake is bringing the after party to Omnia following his stop at MGM Grand earlier that evening. Remaining one of the most lavish and decadent clubs in Las Vegas, Omnia boasts its showstopping experience with a 10/10 on each and every aspect of its prosperous design. Roaring with state-of-the-art sound and light systems, Omnia’s adrenalizing main club fits underneath its classic balcony and within 75,000 square feet of atmospheric soundscapes. Reigning in top-notch acts that span diverse genres week after week, Omnia’s luxurious touches around every corner are the cherry on top of delivering a purely euphoric dance floor experience. Don’t miss out on your opportunity to witness these two mega-stars collide on Saturday, October 6 at Omnia Las Vegas. For tickets and more details surrounding the event, visit here.